Hi, may you provide the rate storage & delivery charges within S’pore. We are keen to explore importation of frozen meat, for local distribution. Hi Augustine, thank you for your inquiry. We have replied to you directly. Let us know if you do not receive the email. Hi Daan, thank you for your inquiry. Will email you directly to you to understand your product type. Can you please provide rates and available sizes? Hi Daniel, thank you for your inquiry. I assume you mean sizes of our cold store units? Will email you directly on this. I’m looking for a cold storage facility to store frozen pastries. As my business is only at the beginning, volume is likely to be small. It will be great help if you could provide me with some costings, like minimum cost for minimum storage size. Also, do you have re-heating facilities, for re-heating pastries before shipping out to customers? Hi Cheang, we definitely are able to quote you based on usage. There is a minimum charge but we can work something out. In regards to the re-heating, we do provide light food processing facilities but will have to understand your requirements more to get the right solution for you. Separately, we have plans for central kitchen facilities where you will be able to benefit from an end-to-end solution. Will email you privately. Hi. I’m looking to store vegetables for distribution in Singapore. Can you provide your rates. Hi Wilson, yes we can help with your storage of vegetables with delivery in our cold trucks if necessary. Will contact you directly via e-mail. I would like to know what is the minimum storage space for rent and rental cost. Is there any lock in period and notice period if I decide to stop the rental. How do you charge for the value added service like door to door delivery, repacking into small pack and pasting label on individual package. Hi Carrie. Thank you for contacting us. Will reply back directly to your email. 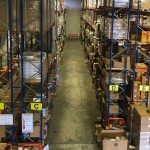 Do you have bonded cold warehouse? Hi HL, we do not currently have bonded cold warehouse. We do provide bonded at an ambient environment. However, if your volume is large we can apply for bonded facilities for our cold storage. I will e-mail you directly in case you need to seek further clarification. Hi there! Please let me know your rates for cold storage of equipment. Hi Darren, for equipment, I think you will likely need ambient type storage? We will contact you directly via email to clarify. Hi, Would like to find out the rates of the yr storage charge. Kindly email me. Hi Edmond, apologize for the delayed reply. I assume you mean storage charges for our Cold Storage facilities? Will email you directly with our rate card. hello, would u please send me your storage rates, labelling and door to door deliveries? Hi Kim Yong, apologize for the late reply. Will get our team to get back to you on your requested information. Hi i would like to know the Charges for the storage? We would like to import Ice-Cream for distribution in singapore. Hi Mus, thank you for your inquiry. Will get back to you on your inquiry regarding your ice-cream products. hi i am looking for a ‘cold storage area’ for fresh flowers. Pls advice me on the floor areas available and other details required. Thank you. Hi Malha, thank you for contacting us on storage for your fresh flowers. Will get the guys to come back to you. Hi i would like to know the minimum storage space for rent and rental cost. (for Ice-Cream products). How do you charge for the value added service like door to door delivery? Hi Vanessa, happy to see if we can help you with your ice-cream products. Will e-mail you directly. I looking for coolroom storage for Fruits. Can email the rate ? Thank you for contacting us. Will email you directly via email. can you please provide the storage rate charges,and also what’s the temperature inside the warehouse? The charges depend on your product type. For temperature, we have facilities to store from ambient to -30 d celsius. Will contact you directly with our rate card. I am looking for cold storage for meat. Will be happy to get back to you on storing your meat products with us. Will contact you directly on this via email. Will contact you directly with your rate card for the cold store facilities. Hello, I am looking for a space where I can store fruits and vegetables, and re-pack them. Could you provide a quotation? Also, can you help do the pick and pack? Yes, we can store fruits and vegetables. We also provide packing (Pick and Pack) with delivery to either consumers or retail shops. Will contact you directly to invite you to see our facility. Hi there! I’m looking for a cold storage facilities to store Ice-Cream products. Please contact me with your affordable rates! Hi Jonathan, happy to help. We have cold storage facilities for ice-cream storage and will be happy to get back to you. Will email to you directly. Im looking for affordable price for my frozen food storage. Please advise. Will get back to you on your request. Im sending my creampuffs to Japan,Ireland to friends how much is the charge? Hi, it would be nice if you provide me the rate for storage & delivery of ice cream / confectionery such as chocolate and gummy in Singapore. We are engaging the distribution of such items. Your prompt action is appreciated. Hi Aki, we have cold-store and cold truck delivery capability in-house. Will get back to you directly via email. HI, I’m looking for a warehouse with chiller facility for food-grade raw ingredients. the temperature criteria is 14-18 degree Celsius. Apologise for the late reply. We do have the ability to go down from your required temperature all the way down to temperatures required for ice-cream. Will email you directly. Hi, can you please advise the rates and available sizes of your cold store units. Thank you. Hi Daniel, Apologise for the late reply. Will get back to you on the sizes and rates directly via email. 1. What kind of cold storage services you provide and what are the options? 2. Is it approved by AVA for food storage? 4. Do you provide some small private cold rooms? Thank you for contacting us. We provide cold storage for food at all of the required temperatures. For the rest of the questions, will get our specialist to reply to you directly via e-mail. Hi, can I know your storage rates and range of your warehouse size? Thank you for contacting us in our comment section on our website. Will be happy to get get to you on our storage rates for our warehouse and Cold Storage facilities. Will e-mail you directly. Hi Cheryl, thank you for contacting us. Will be happy to get back to you on our storage rates and sizes of our storage units. I have emailed you back directly. Hi need to check cold room facility for frozen food stuff. Hi Anan, thank you for contacting us. Will email you directly on your request for storing your frozen food stuff. Hi, I would like to find out the rates for cold storage, can kindly assist someone to contact me, thank you. Hi Alvin, thank you for contacting us in our comment section in our Cold Store blog. Will email you back directly and get the team to come back to you. Hi, am keen to know the rates as am planning to import in frozen food. The initial volume is small – starting from 1CBM, 4-5 different SKU‚Äôs. Based on sales & pick up, we will take up more space. 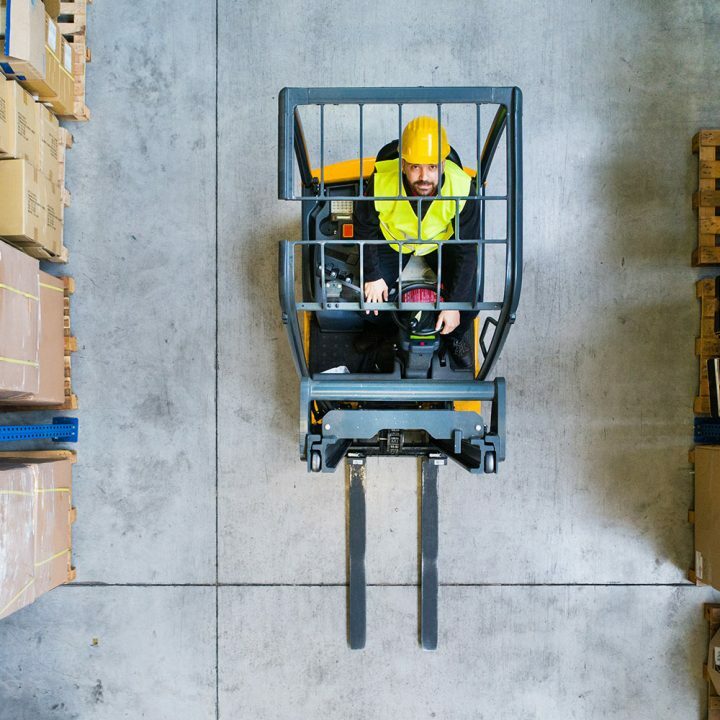 Keen to know your charges, manner is which it‚Äôs charged (per SKU per pallet space) or allowed to mix & rates when we expand space or look for longer term contract. Thanks for contacting us. Will e-mail you directly on your request. 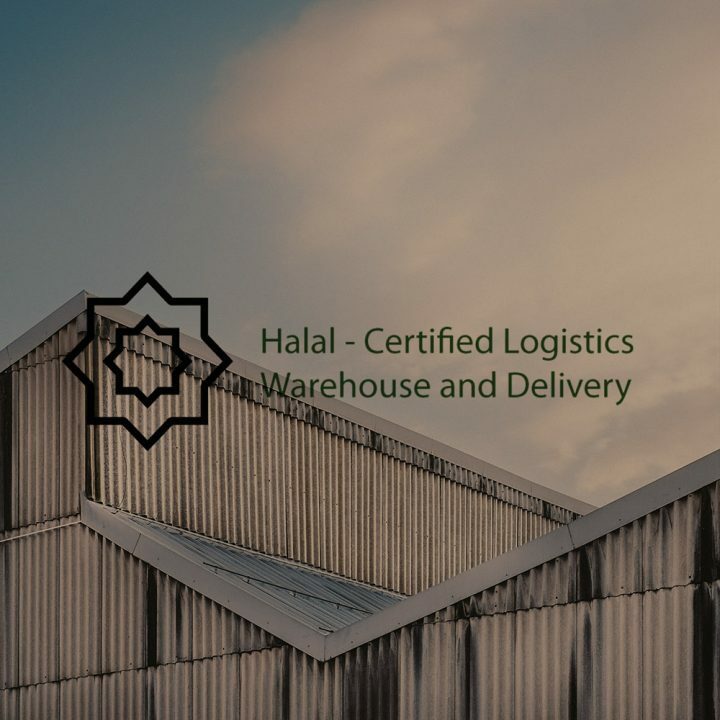 Hi, can you provide us the rates for delivery within spore and storage space for fruits and vegetables? Hi Khai, thank you for contacting us in the comment section of our website. Will get back to you via email. Hi, I’m looking for cold stores to store cartons of seafood/fishes and needed a sink washing facility at the Central Kitchen. Can you give me a quote for the minimum & various cold store size with sink facility in central kitchen? Also where is the storage locations? Hi Jo, Thank you for contacting us via the comment section on our website. Apologies for the late reply. Our facilities are located at Chin Bee Ave. We do have cold storage facilities of various sizes but our Central Kitchen facilities are not ready yet. Will contact you directly via email in any case. I‚Äôm looking for a cold room facility to store frozen pastries and meals. As my business is only at the beginning, volume is likely to be small. It will be great help if you could provide me with some costings, like minimum cost for minimum storage size. Thank you for contacting us via the comment section on our website. Apologies for the late reply. Will get back to you via email. Hello, I would like to get rate storage & delivery charges within Singapore. I am evaluating opportunity of importing refrigerated meat and distribute to end consumers, hotels and restaurants. Thank you for contacting us via the comment section on our website. Apologise as we missed this. Will contact you directly via email. Hi Xiaozhen, thank you for contacting us on our Cold Room facilities. Will email you directly on your request. Hi may i know the Charges for the storage? We would like to import thrill meat for distribution in singapore. Hello Chris, thank you for contacting us in the comment section of our website. Will get back to you via email. Hi, Can I get your rates for storage, pick, pack and delivery service for items that must be refrigerated. Hello Maelle. Thank you for contacting us in the comment section of our website. Will get back to you via email. HI, i would like to find out about import of reefer console containers. Kindly let me the the costing. By the way, the your cold storage warehouse under Zero GST bonded scheme? Hello Stella. Thank you for contacting us in the comment section of our website. Will get back to you via email. Tell us ur rates for potato storage on regular basis. A 40′ container needed to be stuffed every third day. Also let me know if u can provide the delivery to my locations. Quote me individually at mgi.spore@gmail.com. Hello Shashwath Tomar. Thank you for contacting us in the comment section of our website. Will get back to you via email. Hello Yvonne. Thank you for contacting us in the comment section of our website. We will get back to you via email. Hello Angie. Thank you for contacting us in the comment section of our website. We will get back to you via email. Hello Lucas. Thank you for contacting us in the comment section of our website. We will get back to you via email. i would like to know if i can rent for short period like 2 week or less? and for the last 4 day, i would to use your service to send it to Singapore expo in changi. Hello Izraq. Thank you for contacting us in the comment section of our website. We will get back to you via email. Hi, may you provide the rate storage . we’re bring inporting frozen chicken meat, for local distribution. Hello Yew Leng. Thank you for contacting us in the comment section of our website. We will get back to you via email. Hi, may I know what is the minimum storage space for rent and what are the rates like? Hello Carmen. Thank you for contacting us in the comment section of our website. We will get back to you via email. Hi I’m looking for a cold storage facility to store fresh fruits. May I know what are the rates like? Are there any other clauses for rental such as minimum rental period and how much earlier to notify in the event I decide to terminate the rental? Hello Clement. Thank you for contacting us in the comment section of our website. We will get back to you via email on cold storage rates. Hi, may you provide the rate storage & delivery charges within S‚Äôpore. We are keen to explore importation of frozen Crab, for local distribution. Hello Kennard. Thank you for contacting us in the comment section of our website. We will get back to you via email. Hi, I was wanting to know rates for cold storage per month. Approx 20-30 pallets at any one time in storage. Do you also have packing facilities? Hello Simon. Thank you for contacting us in the comment section of our website. We will get back to you via email. Hi, can you please provide rate for storage and delivery in Singapore? We are looking to import beverage. Hello Denny. Thank you for contacting us in the comment section of our website. We will get back to you via email. We will be importing chilled meat from Australia and we are keen to explore the opportunities to collaborate with you and AVA approved Coldstore for the storage and local distribution. Hello Shin Huey, thank you for contacting us. Our relevant team will reply you via E-mail. Hi Olie, thank you for contacting us. We will get back to you shortly. Hi. I’m looking to store FRUITS & vegetables for distribution in Singapore. COuld you provide your rates? Thanks. Hello Jian, thank you for contacting us. Our relevant team will revert to you on the quote via email. Whats the rate for renting the cold room and the last mile dELivery for chilled products? Hi, will need the details for a temporary cold room storage. thanks. Hello Alvin, thank you for contacting us. Our relevant team will revert to you via email.